TICKETS TO THE 21st UNIVERSITY ROW ARE NOW ON SALE! SAVE THE DATE! The 21st Annual University Row is coming up on May 4th! 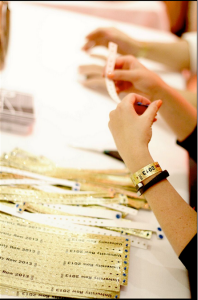 We have tickets for individuals and special group ticket rates! Come with us by bus, or buy a tent-only ticket and secure your own ride! Thank you! 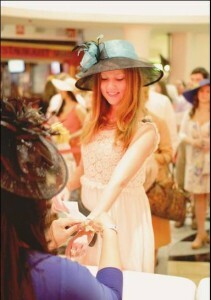 And, we hope to see you at the Row! If you are trying to sell a ticket, or want to search for tickets by contacting someone unable to use his or her ticket for Race Day, we recommend that post to our Facebook event page, or on our Row Facebook Page. If you have any questions, please email us at info@universityrow.org. NOTE: Once Tent Bus tickets sell out, we will likely still have a few Tent Only tickets available. If you buy Tent Only tickets you can buy a Parking Pass from us or at any Harris Teeter store, or you can buy a bus ticket to/from Gold Cup from Lindy Promotions, the official Virginia Gold Cup bus transportation provider. You can use the general link or Facebook/Twitter links and indicate your affiliated institution (so they can see who to look for) to purchase your tickets to University Row. All are welcome! Tent/Bus tickets: Our most popular option. This all-inclusive ticket includes charter bus transportation to and from Arlington or DC, plus your admission to University Row. The most common of the tickets. Tent-Only ticket: Includes admission to University Row, but does not include transportation. You’re on your own when it comes to getting there and getting home. You can buy a parking pass from University Row, or through Harris Teeter. Car Pass: Allows vehicle access with up to five passengers on Gold Cup’s grounds. Each passenger will need to have a Tent-Only ticket to get into University Row. University Row is an area along the North Rail at the Virginia Gold Cup where admittance is by ticket only. It is hosted by more than 30 different alumni chapters. Your admission to University Row provides access to every tent, so feel free to mix, mingle, and network! Some schools and groups have purchased a number of tickets that they will make available to their alumni and friends at a discounted rate – check in with your alumni club or get a group of your friends together to get yours! As this is an alumni-oriented event, initial sales are usually made available through each school’s local alumni chapter – but we are truly open to all in 2019! Tickets may also be purchased directly from University Row. 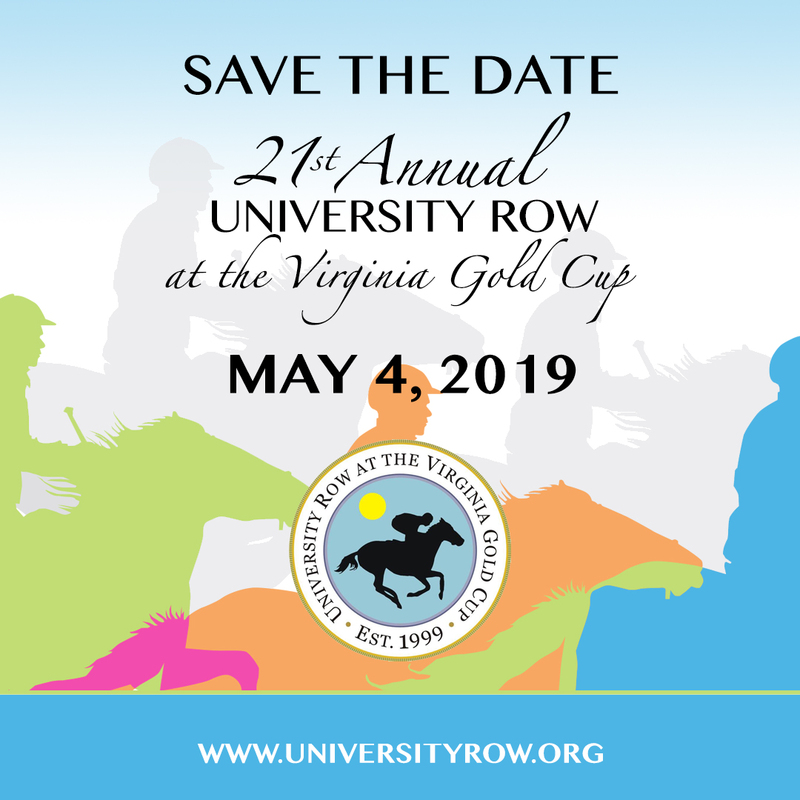 There are a limited number of parking passes available for those who are planning to arrange their own transportation to The Virginia Gold Cup and University Row. These are physical passes that need to be clearly displayed on your windshield for entry to the grounds at Great Meadow. 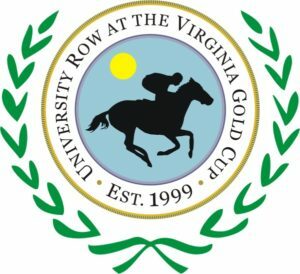 All Parking Pass will be available for pick up at the Virginia Gold Cup Will-Call desk at Great Meadow on Saturday, May 4th. Will Call location TBD, but should be near the main Great Meadow Entrance. 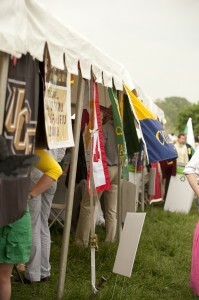 A number of University flags wave in front of a tent at University Row 2012.